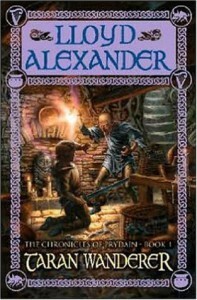 As those who follow my reviews may remember, I've been rereading Lloyd Alexander's Prydain Chronicles. Today (Nov 22, 2008), I finished the fourth book and felt moved to revise my rating from three stars to four. As a 12-year-old, I remember liking the final volume the most - as I recall (and I'll find out just how well I do once I move into book 5), it had a lot of action, Taran and his friends finally confronted Arawn and all the threads from the previous books were brought together. As a 41-year-old, I would revise my estimate to the extent that it's book 4 that's the most satisfying and the true culmination of the series; the rest is icing on the cake. Taran's education and development is completed, and he's secure in who he is. The writing isn't the best but there's never a sense (at least for me) that Alexander is hitting you over the head with his moral lessons. Of course, it probably helps that he's preaching to the choir. I find Taran and his ethics admirable and, as I mentioned in my note for The Book of Three, this must have been a serious, if unconscious, influence on my own moral development.